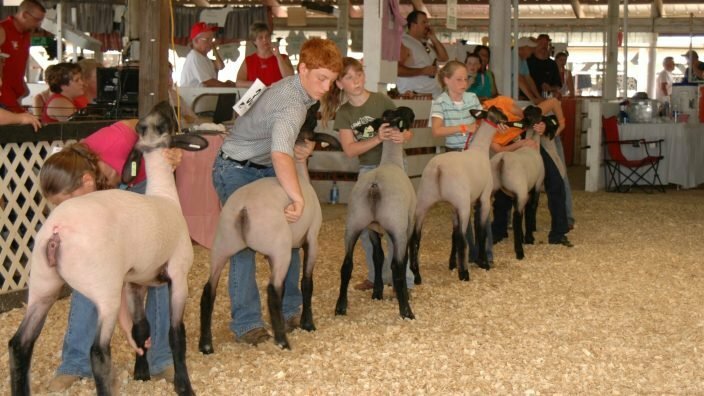 Membership supports programs that ensure the growth of Ohio food and farms, such as advocating for good government policy, developing opportunities for young farmers, providing student scholarships and grants, supporting local food efforts, creating food literacy programs for kids, hosting community building events and funding efforts to protect the environment, water quality, farmland preservation and more. If you are a farmer, landowner, or your job is directly impacted by the health of Ohio agriculture, then become an active member. Benefits include having a voice in Farm Bureau’s advocacy efforts, voting on policy positions, discounts on Nationwide Insurance products and many other products and services essential to the farm and food community. If you are age 18 to 24 and a farmer or your job is directly impacted by the health of Ohio agriculture, then become a young active member for just $25. Have a voice in Farm Bureau’s advocacy efforts, vote on policy positions, and enjoy discounts on Nationwide Insurance products and other products and services essential to the farm and food community. Plus, participate in a vibrant Young Ag Professionals program. If you are interested in local foods, protecting agriculture, and preserving Ohio’s farm heritage and lifestyle for the next generation, then become a community member. Farm Bureau keeps you connected with food and farm happenings in Ohio. Enjoy a variety of savings opportunities on everything from cars to travel and much more. Farm Bureau is a leader in identifying and solving problems through bipartisan work with legislators. Members collaborate on issues they deem important to shape local, state and federal policy affecting their communities. Members are informed of legislative issues and policymakers’ views. Membership includes a subscription to Our Ohio magazine and Buckeye Farm News (by request). Our Ohio’s food stories feature recipes and information about the farm families who grow the products we all enjoy. Buckeye Farm News analyzes developments in organizational programs that are relevant to farmers, landowners and those employed in the food industry. We want landowners to have quality information to help manage their property. Farm Bureau staff experts are providing members with the latest information on oil and gas leasing, property tax issues, wildlife management and conservation matters, and private property rights. Want to learn how to be a better gardener? Learn more about food production? Prepare and preserve the bounty of the season? Members can host and/or attend food and farm tours, how-to seminars and other learning activities. Ohio Farm Bureau provides opportunities for members to grow leadership skills, gain professional experience and network with members of their community. 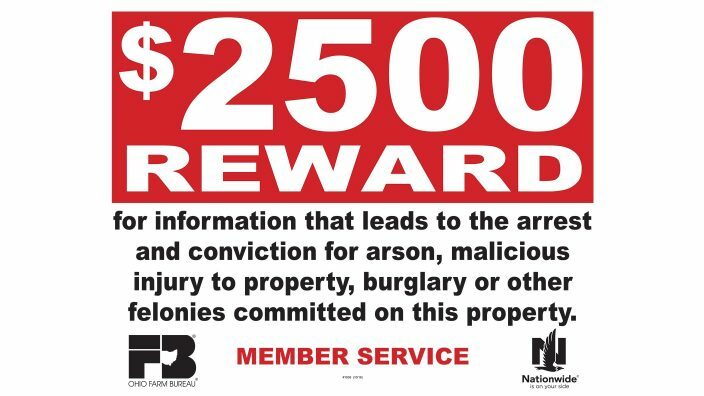 Ohio Farm Bureau offers a $2,500 reward for information leading to the arrest and conviction for felony crimes committed on a member’s property when properly posted. Members can save on some Nationwide Insurance products, select Case IH tractors, CAT agricultural construction equipment, Choice Hotels and Grainger catalog items, and more. Nationwide’s work with Ohio Farm Bureau is a partnership based on providing security for our members. Ohio Farm Bureau is about creating an atmosphere of cooperation and collaboration so that our members can have the security they need to produce food and agricultural products for our customers. Nationwide is in the business of protecting what’s most important: our families, homes and possessions. Supporters care about the future of Ohio food and farms. They support Farm Bureau as a voice to ensure that farmers are respected, treated fairly, and encouraged to operate in a way that improves our land and surrounding communities. Join in the shared mission to protect Ohio’s food and farms, and ultimately make Ohio a better place to live. If you care about the future of Ohio food and farms, you should be an Our Ohio Supporter. Not only will you be financially helping to ensure the stability of agriculture in Ohio, you will be connected to agriculture information that affects all Ohioans. Businesses across Ohio recognize the need for a strong agricultural community and have chosen to support Farm Bureau with a group membership. They care about their community, their employees, and their customers, and recognize that an investment with Ohio Farm Bureau has a high return–from policy and education, to community development and consumer outreach. Join in the shared mission to protect Ohio’s food, farm and business community by investing in your people with a group membership. More than half of Ohio Farm Bureau members are not farmers but individuals who believe in our mission. This chart explains the additional benefits of Farm Bureau membership. Farm Bureau members enjoy a variety of additional benefits, including property owner workshops, discounts on insurance, leisure and travel, home and health, and more. Why do some counties have different rates?